As I usually have some scraps left over from my albums ( I have a tendency to over buy on my papers), so recently I have started creating these little Wallet Mini Albums. from the leftover paper, for sale in my shop ScrapsForSanity on Etsy.com. 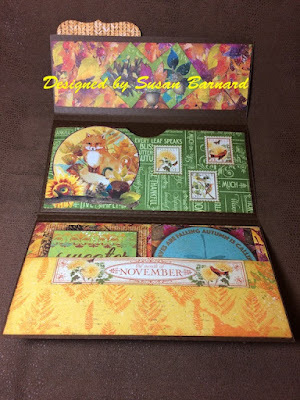 Sometimes I use only one manufacturer's paper but there are times when there just isn't enough paper left over to give the wallet album the complete look I want. 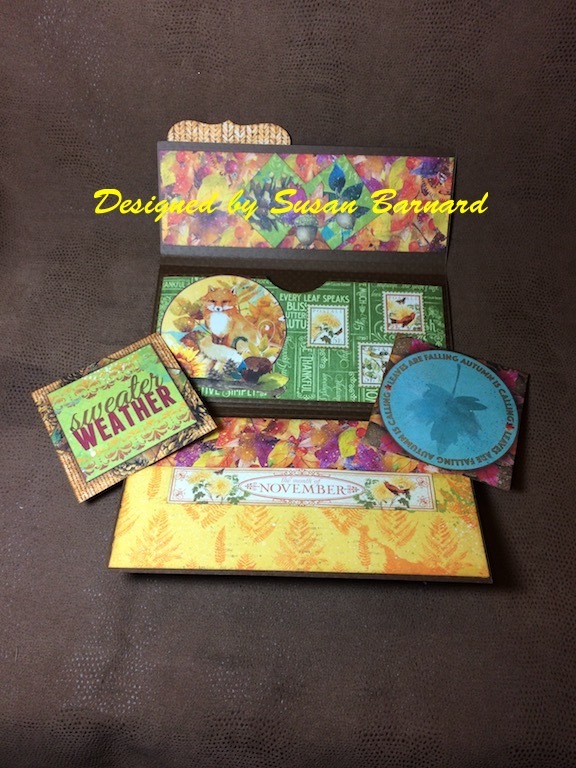 So I do add other manufacturers papers to the creations. 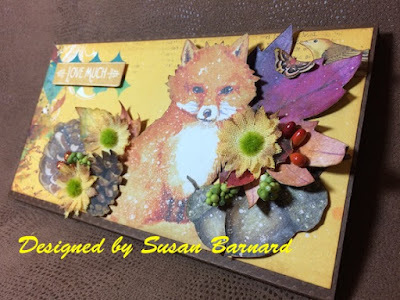 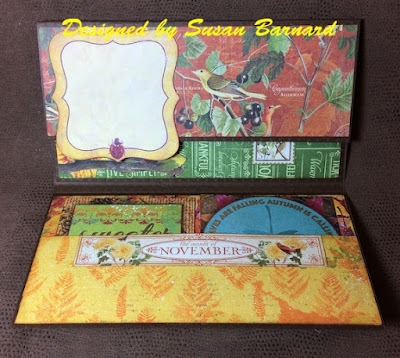 This one has BoBunny's "Dreams of Autumn" and a little Graphic 45's "Time To Flourish". You may have seen my earlier post showing the mini album I created using this BoBunny paper, along with a dash of Graphic 45 and that is where I had the left over paper from. 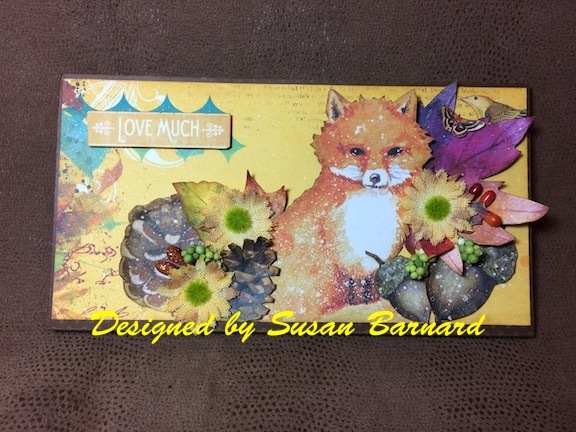 Isn't this little fox just the cutest thing you have ever seen !! !